Sephora attracts everyone's attention with it's new tinder-like feature and digital mad libs-tool – supported by actual ads on the dating app. The beauty retailer came up with these two new features, named "swipe it, shop it" and "beauty uncomplicator", to re-launch the new Sephora Collection - Sephora's private label brand. 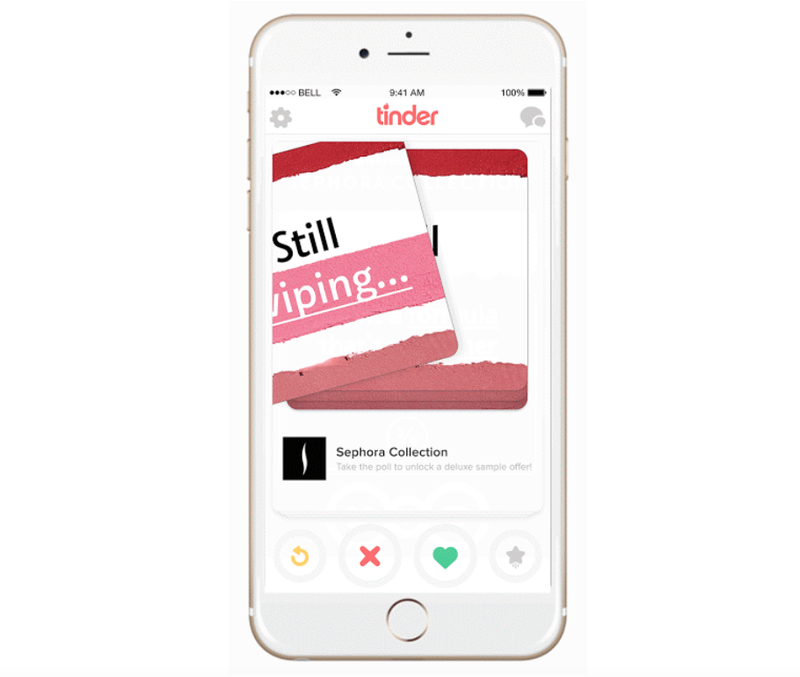 "Swipe it, shop it" uses the well-known tinder approach and design to show the huge range of products and looks thus offers a really fun shopping experience: Swipe right to shop a look, left to skip it. 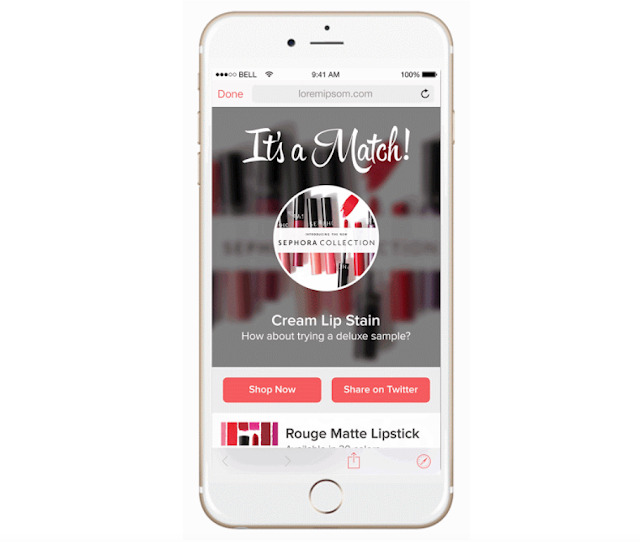 In addition to that Sephora will be running actual ads on tinder in September to promote the "swipe it, shop it" tinder-like feature. Branded cards ask users to click and take a poll for a free sample. 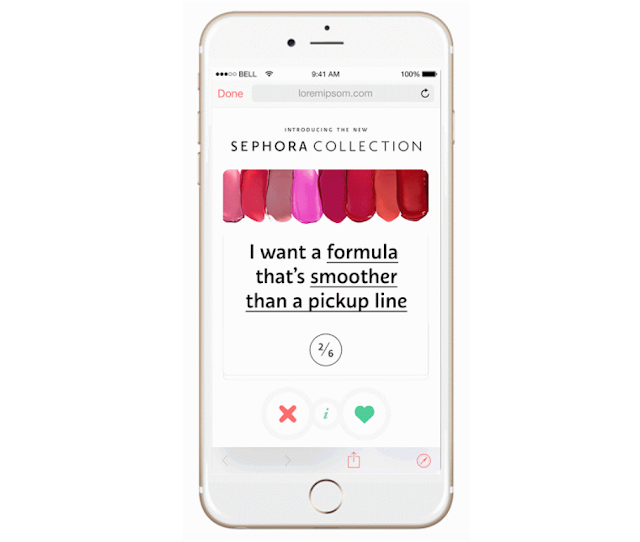 Therefore Sephora will become the first beauty brand to buy ads on Tinder that use a polling feature. 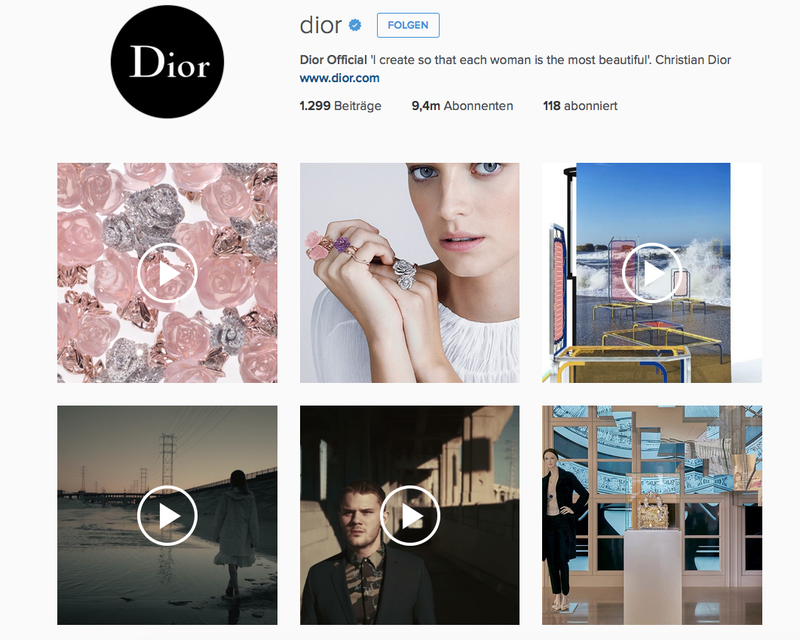 How the feature works: Users can swipe through a series of shoppable looks which each look like a tinder-card. If you are into a look you can swipe right or left if you aren't. Swiping right you automatically add the look to your personal shopping list. The other tool called the "beauty uncomplicator" helps users to find the products they are searching for in a much easier and more fun way. The tool asks shoppers to fill in the blank to get more personalized search results. 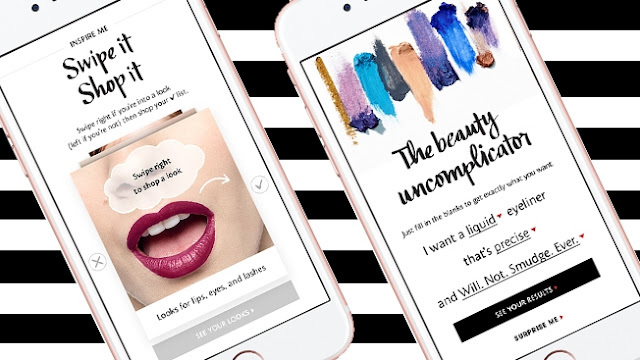 Sephora is once again demonstrating it's smart approach in mobile marketing and beauty retailing by showing their wide range of products in a playful way inspired by the latest trends and pop culture. The brand creates a holistic experience for its customers to engage with the brand. Try the features on the Sephora Website. Find out more on Adweek.